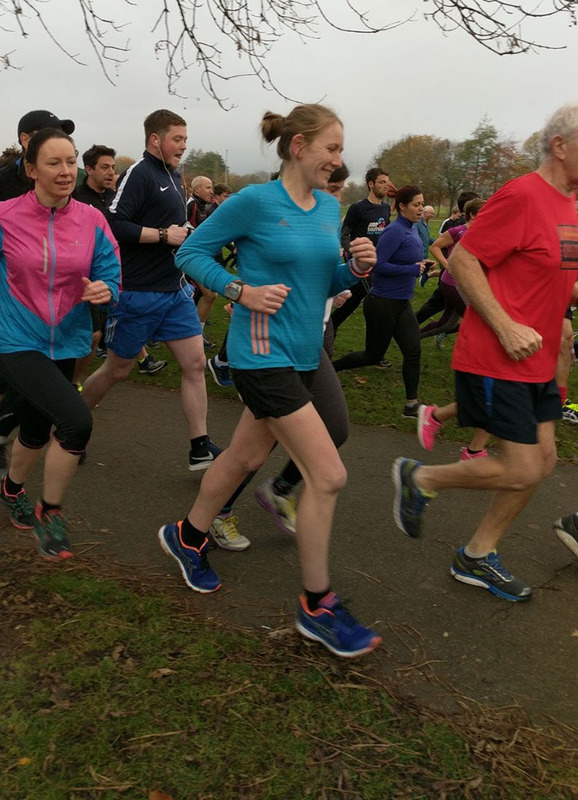 I’ve managed to get to two more new-to-me parkrun locations and also tick off a brand new 5k PB since I last wrote about my parkrun adventures. 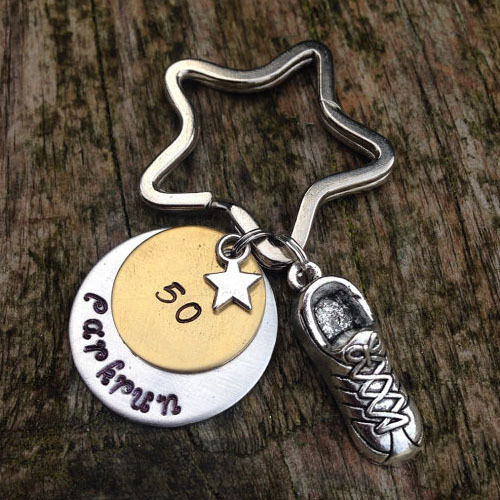 I’ve got just one more location to run before the year is out in order to tick off ‘Run 20 different parkrun events by the end of 2017′ on my to-do-list and five more parkruns before I hit the magic 100. How is it nearly 2018 already?! 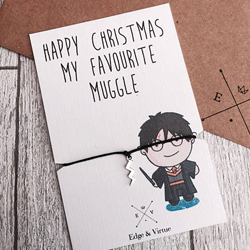 This year has gone by so fast! Volunteering as a pacer is going to feature on my goals list for next year somewhere, but I still need to carve out some more goals for the rest of the year. 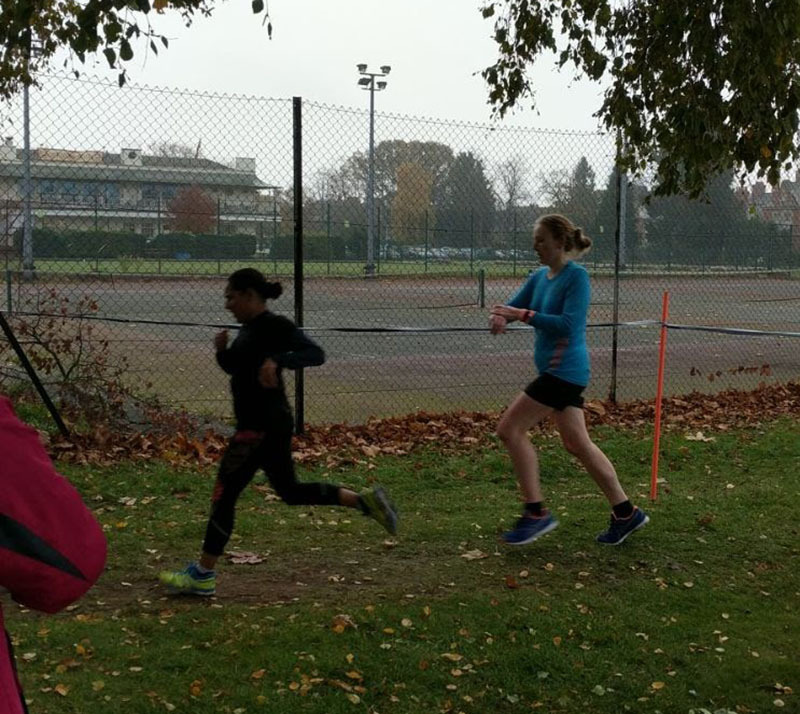 The last weekend in October I headed off to Rugby with Laura for my 93rd parkrun. Course number 18 for me and I believe it was Laura’s 17th one. Now I’m going to be honest and admit that as I hadn’t run with anyone in a while I spent most of the first lap chatting away and not taking a huge amount of notice of the course itself. I do remember from that from the briefing it sounded like we would be going out for 5 or 6 miles though! 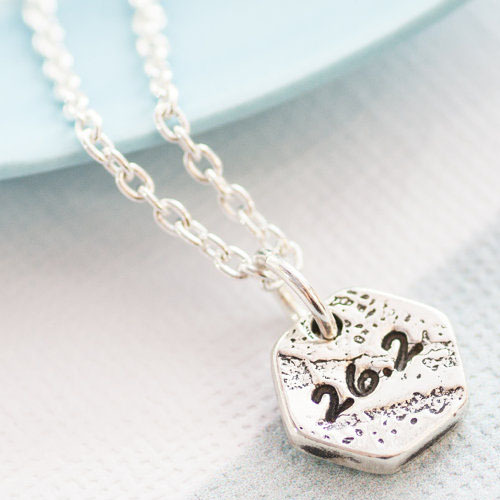 It was a case of ‘just run round the edge of this field, then that field, then round the back of there, and then up this hill and around another field…and then go round for lap number two!’ Laura and I looked at each other and wondered just how far we would be going that morning! The course was mainly off-road, and it did have one nasty, steep, muddy hill in it which we ran twice. The marshals were all super friendly (as all parkrun marshals are) and offered lots of encouragement whilst out on the course. We thought we might just dip under 30 minutes despite the chatting, mud and hills, but ended up a few seconds out. 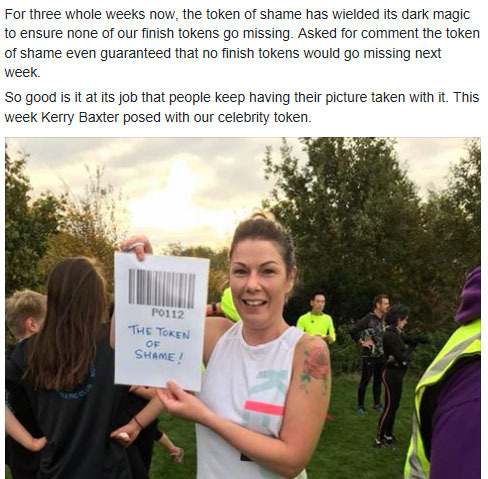 Rugby parkrun has a ‘Token of Shame’ which they present to the runner who finishes in position 112 each week. The organisers were getting rather fed up of continually replacing barcodes which people mistakenly took home with them, and had had to replace token 112 on more than one occasion, so ended up creating a large ‘Token of Shame’ to be photographed with the runner finishing in position 112 each week as a reminder that you should be leaving your barcode in the box at parkrun, not taking it home with you! Having not brushed my hair that morning I was a little concerned that I would finish in position 112 – that’s the kind of luck I have(!) Laura and I fought between us over who was going to cross the line first, but luckily neither of us were in the running for the Token of Shame, as it had already been distributed a minute or so earlier. Following parkrun, Laura and I made our way to the parkrun recommended café. 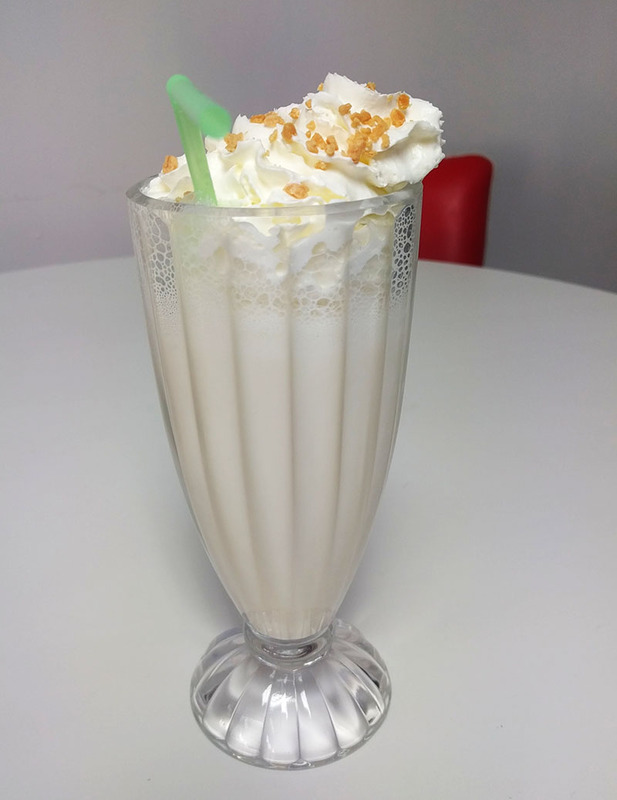 I decided to go for a toasted marshmallow milkshake, although almost didn’t get my milkshake at all when they didn’t take cards in the café. I managed to scrimp around for some change in my car to discover that the pound coins I was able to find had been discontinued the previous week and the emergency fiver I had transferred from my ultra bag a couple of weeks back was also an old one. Luckily, the café accepted the five pound note as payment, although promptly paid it straight back to Laura as part of her change! Kings Lynn is a course that has been on my radar for a little while now. I pass through the outskirts of Kings Lynn every time I head back to Norfolk, so it made sense to time a visit to Kings Lynn parkrun along with a trip to my parents one week. It did mean loading up the car the night before heading back and eating breakfast during the drive to save time, but it was worth it! 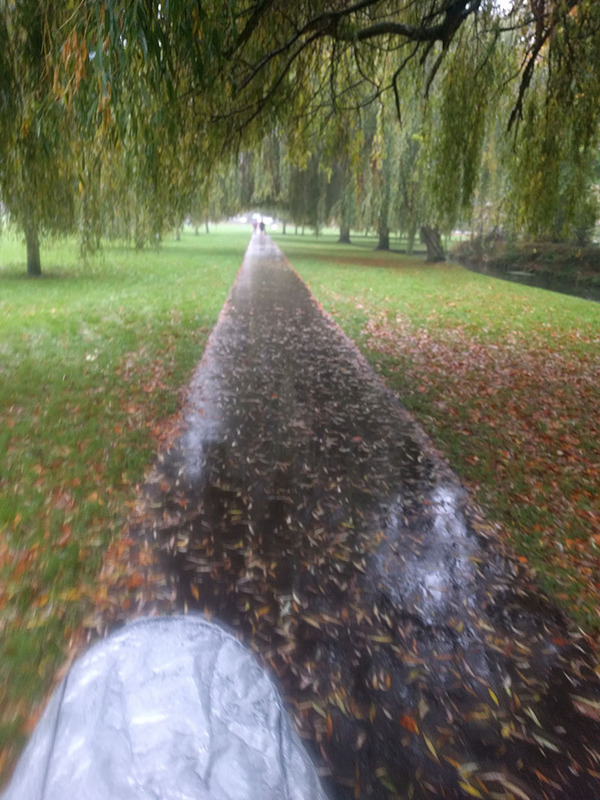 It poured down with rain during the whole journey to Kings Lynn. Despite leaving with plenty of time to spare, and arriving at the postcode shown on the website for parking I struggled to then find the actual park. I debated for a while whether it would be classed as child cruelty to take Oscar out in his buggy with the rain as heavy as it was, before deciding to heave him up into his buggy and firmly secured his waterproof cover over the top. I was already soaked through by this point! Luckily I spotted a couple of runners in parkrun t-shirts jogging by and so I promptly followed them in the direction they had headed and soon arrived at the park. There must have been bonfire celebrations held there the previous night as there were several guys in reflective jackets stood around a large mound which was still smouldering, and trucks came to tow a collection of portaloos away whilst we were running. I attended the new runner briefing to get a feel for the course. 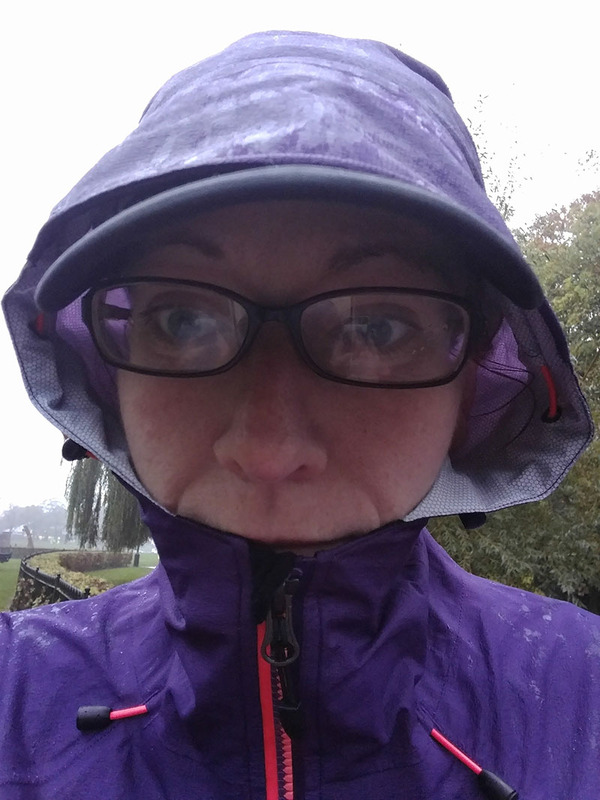 When questioned, I was the only person at the new runner briefing who had run parkrun before, so was quite impressed to see that the others who all stood around had all turned up for their very first parkrun despite the heavy rain! Once you have run your third lap you take a turn off the wide path and the final 100 metres of the event is off-road on the grass. I wasn’t sure that I would be able to fit the buggy along the taped track, but we managed it! 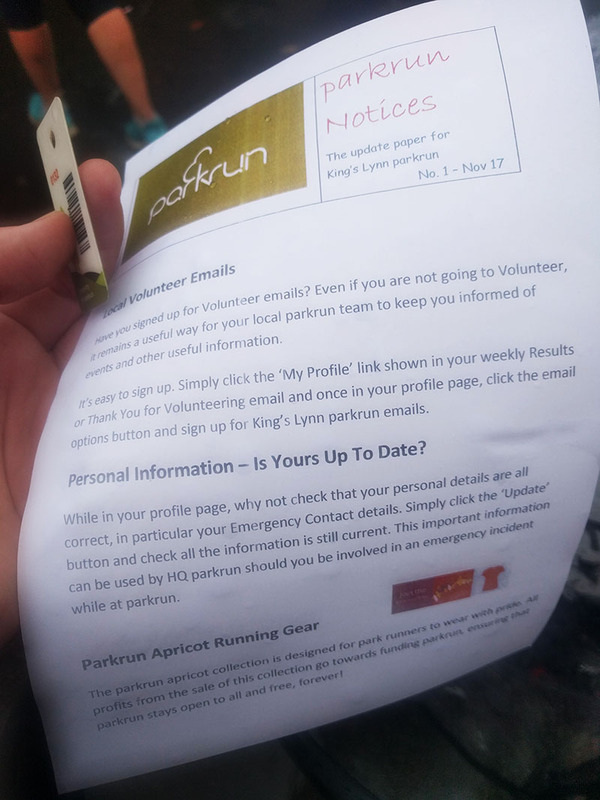 As I crossed the line I was directed towards one of the barcode scanners and then another volunteer handed me a Kings Lynn parkrun newsletter, which I thought was a fantastic idea, especially for those runners who weren’t so familiar with how parkrun worked. The newsletter/notices sheet was double sided and contained both general parkrun information and also information about how to get involved with volunteering. 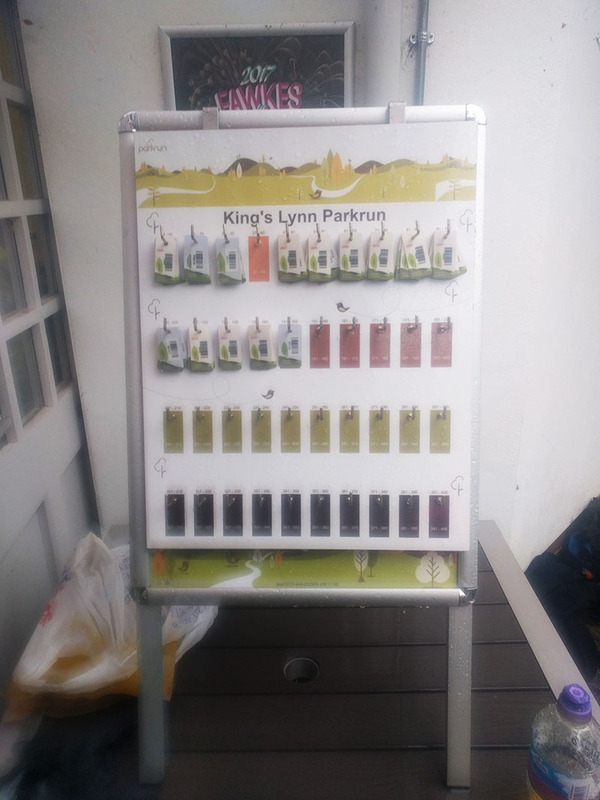 Kings Lynn, like Wimpole Estate, have a barcode board, where runners are expected to hang up their own barcodes following their run. 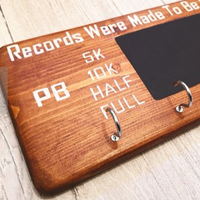 Whilst initially thinking this is a good idea, I can definitely see how it would be possible for some parkrun barcodes to go missing following a run – the board was a little way away from the barcode scanners and there were several runners around it trying to slot their barcode onto the correct peg. I imagine it would be fairly easy to forget about handing your barcode back in again. 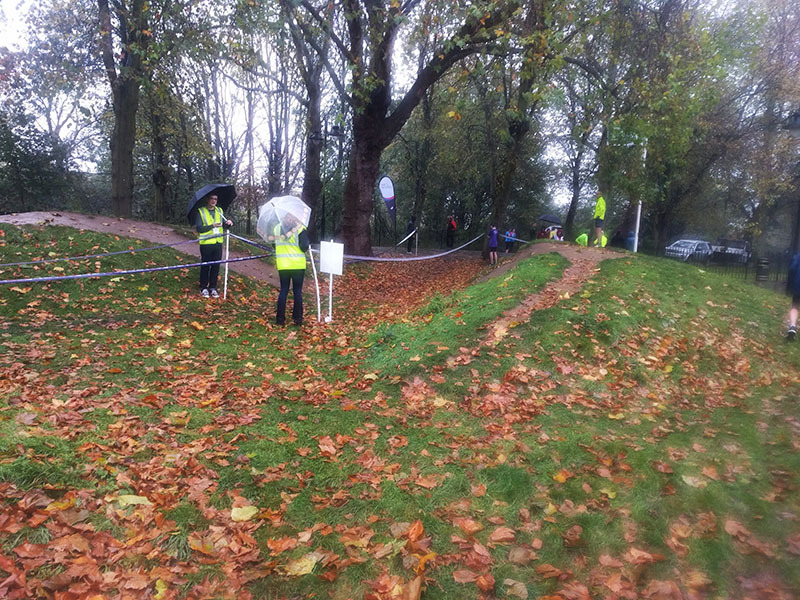 Still, it saves a volunteer having to organise all of the barcodes at the end of the run. Not too shabby for a buggy run when I started at the back in the pouring rain! I was absolutely drenched by the time I returned to the car, dripping all over Oscar as I returned him to the warmth of his car seat. He didn’t seem to care though, and thought it was hilarious that my cap was dripping water from the peak onto his lap as I strapped him in! I have never known my shorts to be so wet that they clung to me the way they did that morning! I had a really strong, easy run last Friday afternoon. I was absolutely shocked to look at my watch a couple of miles into the 10k I had planned and to see my pace hovering around the 9mm mark. 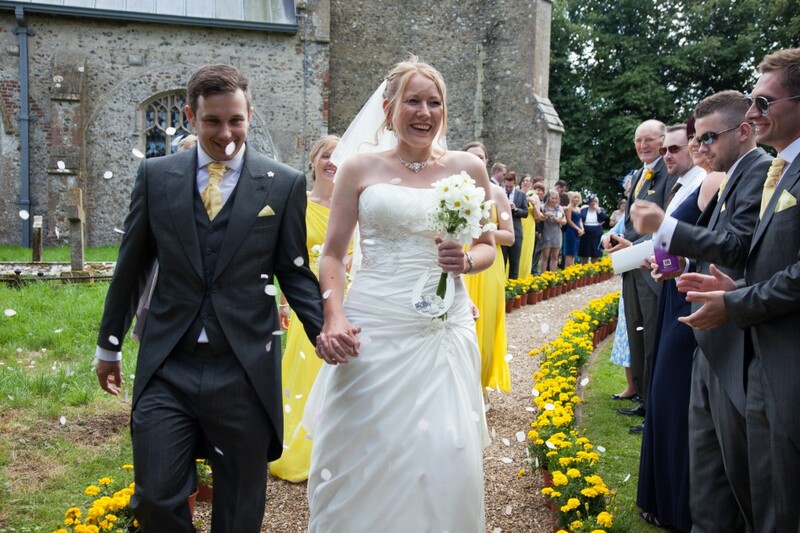 That evening, Laura checked in to see if I had made any parkrun plans yet for the following day. 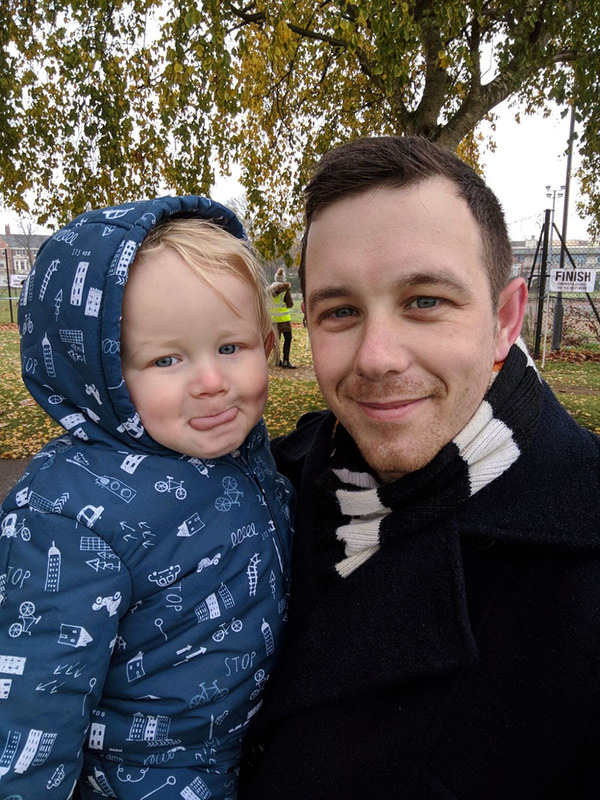 We often parkrun together and have a catch up afterwards, as I’m not able to get to club very often since having Oscar. Laura had to keep her parkrun plans fairly local, as she was off out in the afternoon, and I had to run from Northampton, as Dan was heading to Reading for the Wolves football match later in the day, so I had promised to drop him at the service station in Northampton for his Dad to collect on the way through to the game. As Dan would be there to take Oscar from me, Laura offered to pace me for my run. I had casually dropped into conversation a few weeks back that I would like to try and target a faster 5k time before really focusing on training for the 100 a little closer to Christmas, but to be honest hadn’t really done much work towards specifically targeting a faster 5k time. I’ve been gradually changing my running style just lately and have done a fair amount of core work, but nothing specific for a 5k distance as such. After a brief twitter chat we decided that Laura would help me to achieve a sub 27 minute parkrun the following morning. My PB stood at 26:37, but my fastest time since having Oscar over a year ago stood at 27:10, from Blickling parkrun which I ran back in the Summer. 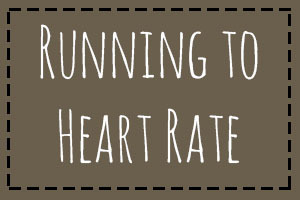 Being able to run a sub 27 parkrun would hopefully increase my confidence levels going in to the Winter. The weather was rather miserable when we arrived. It was the kind of slight drizzly rain where you never really notice it’s raining at all. As Laura, Dan, Oscar and I made our way over to the start line I saw a familiar face heading towards us as part of a warm up. Phil was the guy I had stopped to help at the Dusk ’til Dawn ultra in 2013. He has gone on to add to a fantastic running portfolio, including completing the Grand Slam of Centurion 100 mile races earlier this year. He doesn’t live anywhere near Northampton though, hence my shock at seeing him on the start line last weekend! 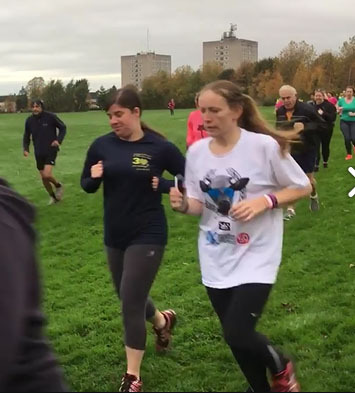 As Laura and I stood on the start line for the parkrun to begin, I felt fairly confident that I would be able to achieve a sub 27 minute parkrun time. I had been running stronger, and I had run a great 10k the night before. Laura had ensured we made our way further towards the front of the race line (I would normally have started much further back, but to be fair, we didn’t have a huge amount of runners overtake us once we began). The only downside to aiming for a time was that Laura and I didn’t really get an opportunity to have any catch-up chat! 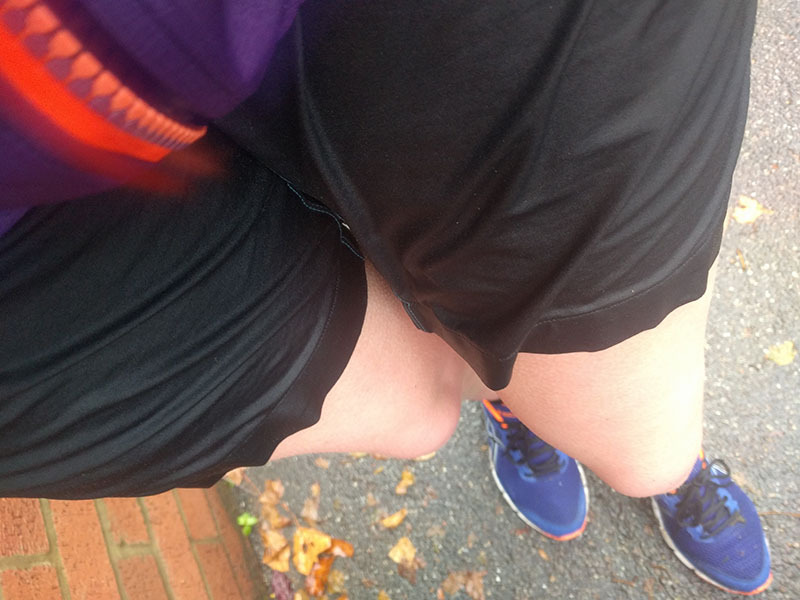 Laura had said at the start that she was going to aim for 8m 40s per mile, and as her watch beeped to indicate the first mile, she stated that we had run it in 8m 39s (showing slightly different to my watch, which indicated a slightly quicker time). I had found the first mile fairly easy. 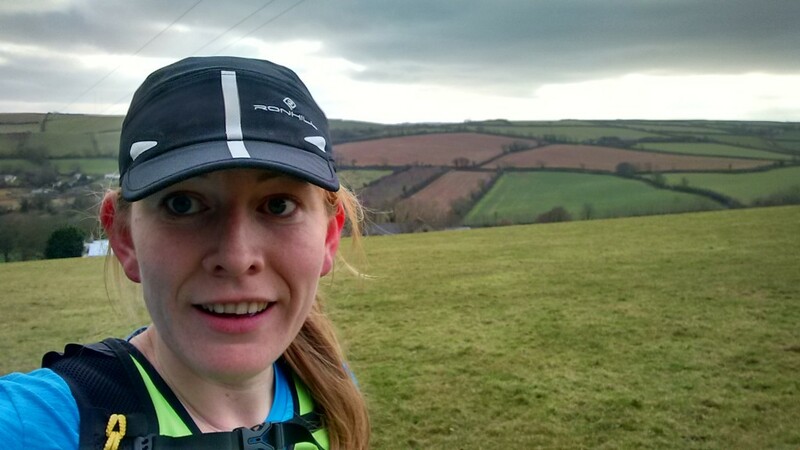 We did a fair bit of weaving in and out of other runners, but I believe I could still have maintained a conversation if I hadn’t planned to stay so focused. Mile two, and we had slightly picked up speed. 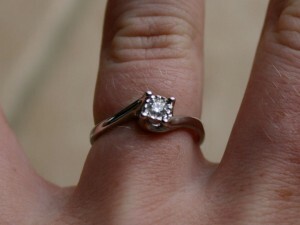 I occasionally checked my watch, although relied on Laura to set the pace, refusing to let my head work out anything. On one hand, nine minutes sounds like hardly any time at all, but on the other hand, the end was still nowhere in sight! Just before we began the final mile Laura shouted back to me that I could actually be on for a PB. 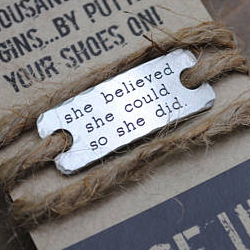 I had worked this out moments earlier, and so began to pick up my pace to try and ensure that I did hit a new PB. I couldn’t have held a conversation for this last bit of the run! 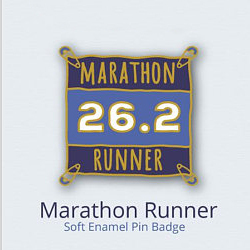 26:35…a new PB by 2 seconds, and 35 seconds faster than any time I had run since having Oscar! 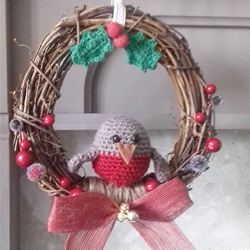 I was super chuffed with that! Official time: 26:35 << New PB! 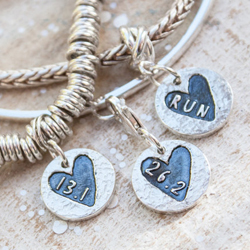 Have you paced/been paced at parkrun before? 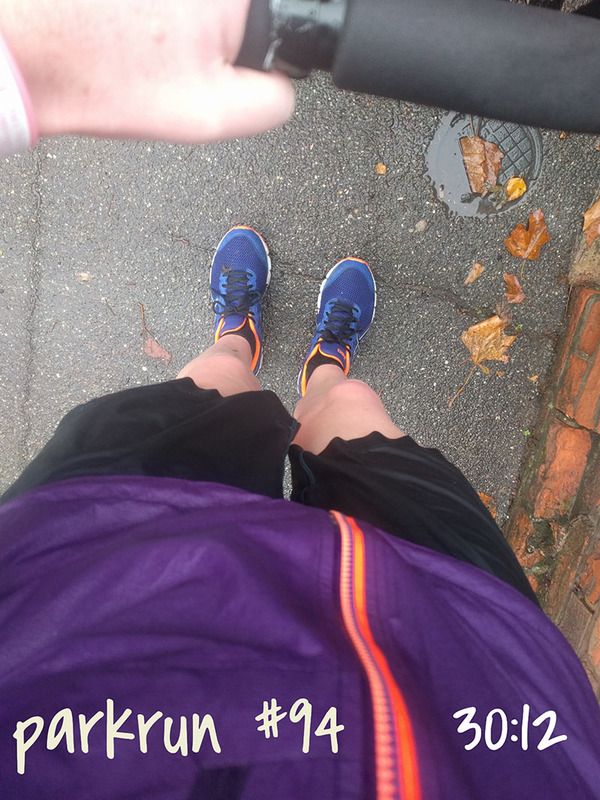 Do you enjoy running in the rain? 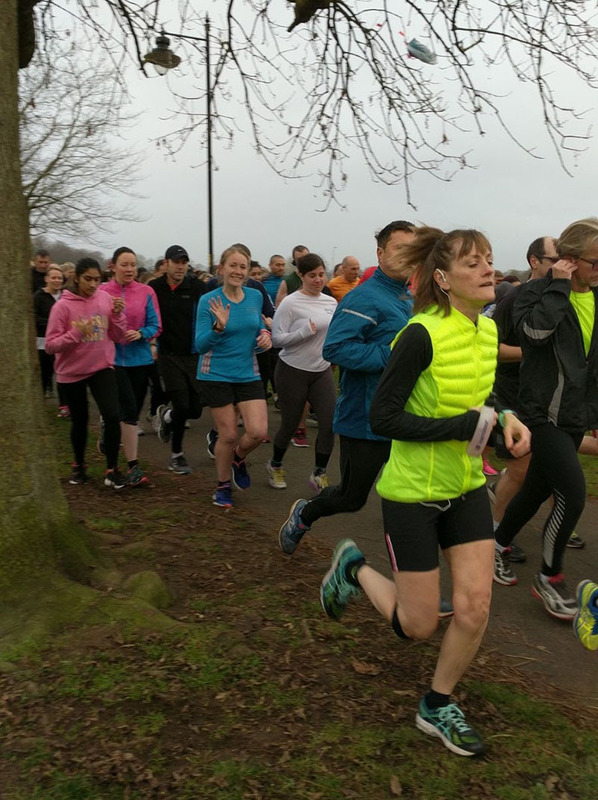 Have you seen a parkrun newsletter before?